The Wars of Pooch: Do you have a flag? 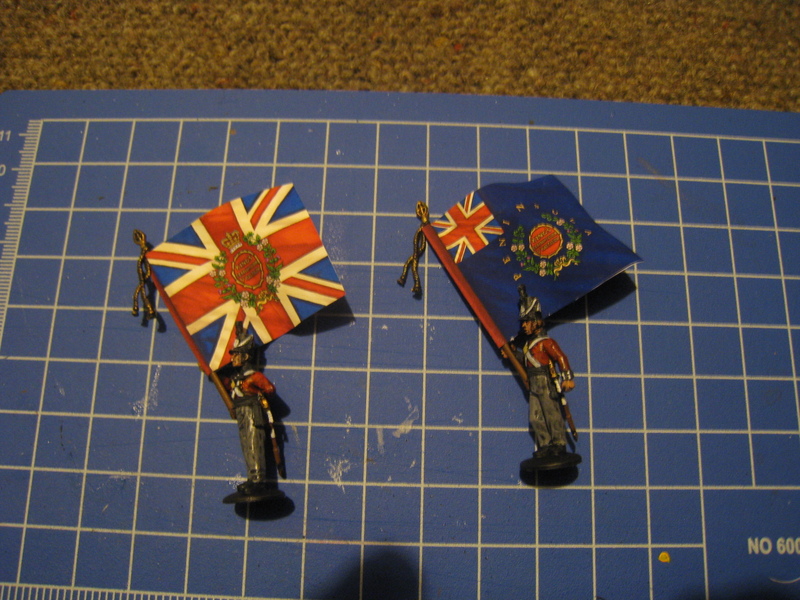 So, in spite of the chill in temperature, I managed to get the start of some painting done, and got some flags attached. 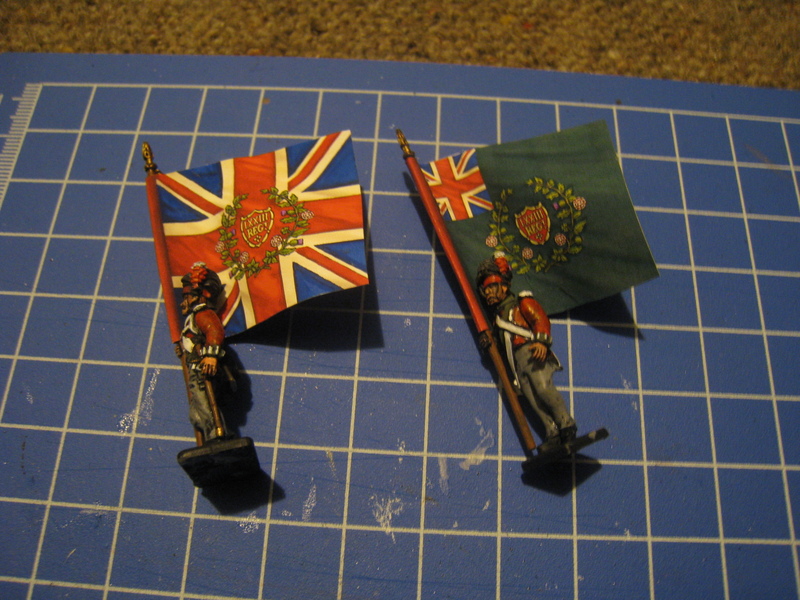 Here are the Regimental and King's colours for the 73rd Regiment. And here are the colours for the Kings German Legion Regiment. My flags come from GMB Designs, which I ordered from here. I paid about $5 per flag, plus another $5 for total postage. Overall, I am pretty happy with them! They require a bit of cutting to make them fit properly onto the banner poles; but it is really no extra drama. 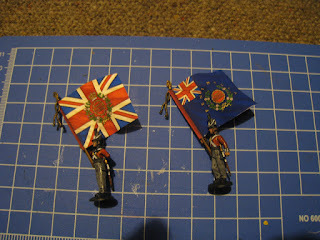 So I ordered enough flags to cover my whole army (the Guards, the 5th British Brigade and the Hanoverians), but I will do another order, I really think I will use them for my next force (probably frenchies...) as well as when I add more regiments to the army to make sure I can use it as a standard Infantry core, as well as Guards. So, in short, I highly recommend GMB. They are on the expensive side, but... I am alright paying the little bit extra for quality, especially when flags are such a notable part of the unit! In case you didn't know the importance of the flag, here is comedian Eddie Izzard explaining why the flags were so important! I am guessing you saw their pretty complete Russian range then too? Good! The Russkis must not be far away now! Who is going to doing Lasalle at Conquest? Looks like Tim and Nick G are coming down, and if you and Kent come up it could be a 2 v 2 or a 3 v 3. We might have to recruit another but that should not be too hard! Good looking flags and standard bearers Pooch. This is going to be an impressive looking force.